Do you want to add a touch of classic styling to your home's bathing space, while also providing your family with cheap bathroom vanities and a functional storage solution? 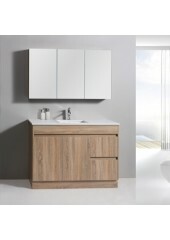 No matter what size or style of bathroom you have, our vanity units are an excellent choice.We can offer you cheap bathroom vanity basins in Melbourne that come in sizes from 450mm to 1800mm, making it easy to find furnishings that suit the dimensions of your bathing space. We understand that not everybody has the same interior space requirements, so we’re happy to talk with you and determine which of our products will best suit your needs. 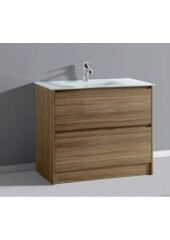 We specialise in providing bathroom and kitchen designs and fittings for any purpose. 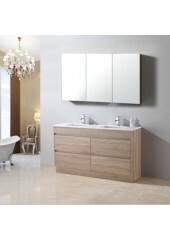 Whether you are renovating your old bathroom into a sleek and modern room or you are building your first home, our cheap vanities offer you affordable elegance. 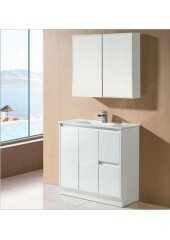 Regardless of your needs, our bathroom vanity units are able to suit your style and function needs. 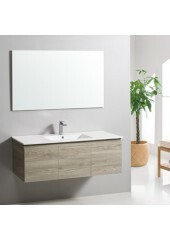 If you're at a premium for floor space, we can easily recommend our wall-hung vanities: they can be mounted on all kinds of walls and come in a variety of material types and styles. We offer these products in ceramic, polyurethane and stone – whichever suits your style. 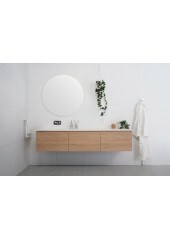 Our polyurethane and ceramic wall-hung vanities are definitely more lightweight than our stone products, and are an excellent choice for anyone seeking a smaller storage solution that will be easier to handle and mount.Nearly all of the products we showcase on our site can also be found in our Dandenong South-based showroom in Melbourne. 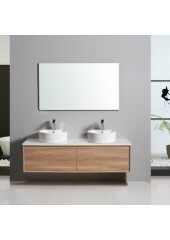 Feel free to swing by and take a look at our bathroom vanity units in-person.Excellent Bathroom Vanity Basins in MelbourneDo you want to add a touch of classic styling to your home's bathing space, while also providing your family with cheap bathroom vanities and a functional storage solution? 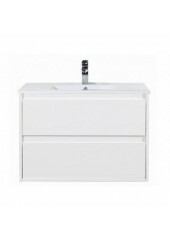 No matter what size or style of bathroom you have, our vanity units are an excellent choice.We can offer you cheap bathroom vanity basins in Melbourne that come in sizes from 450mm to 1800mm, making it easy to find furnishings that suit the dimensions of your bathing space. We understand that not everybody has the same interior space requirements, so we’re happy to talk with you and determine which of our products will best suit your needs.